I share with you my work in progress in weird gothic vampire fashion. 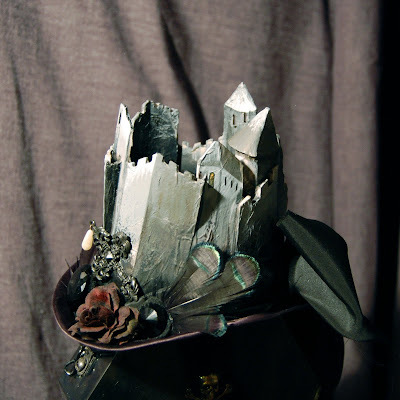 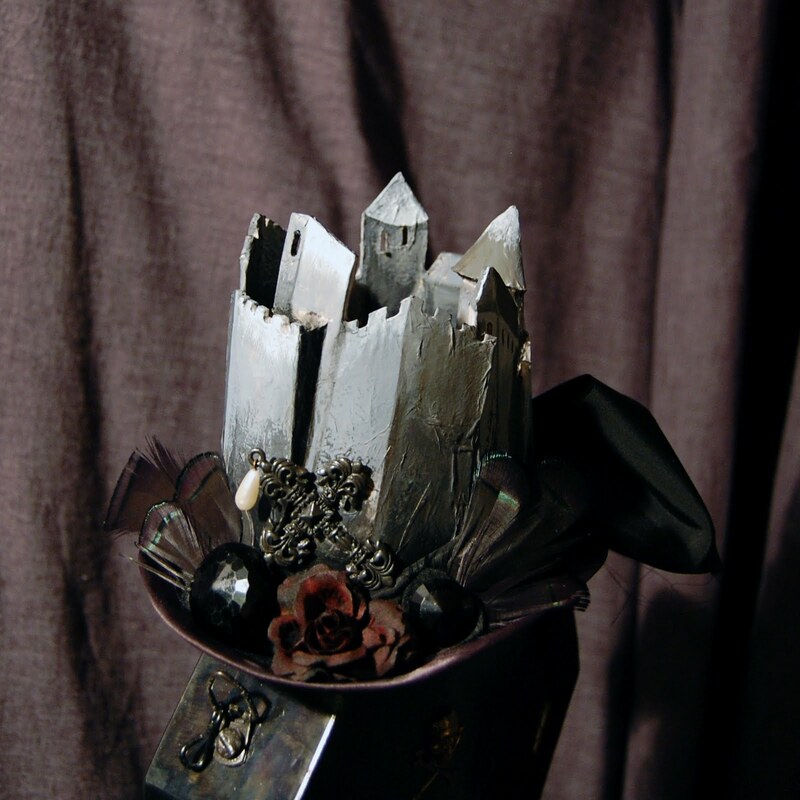 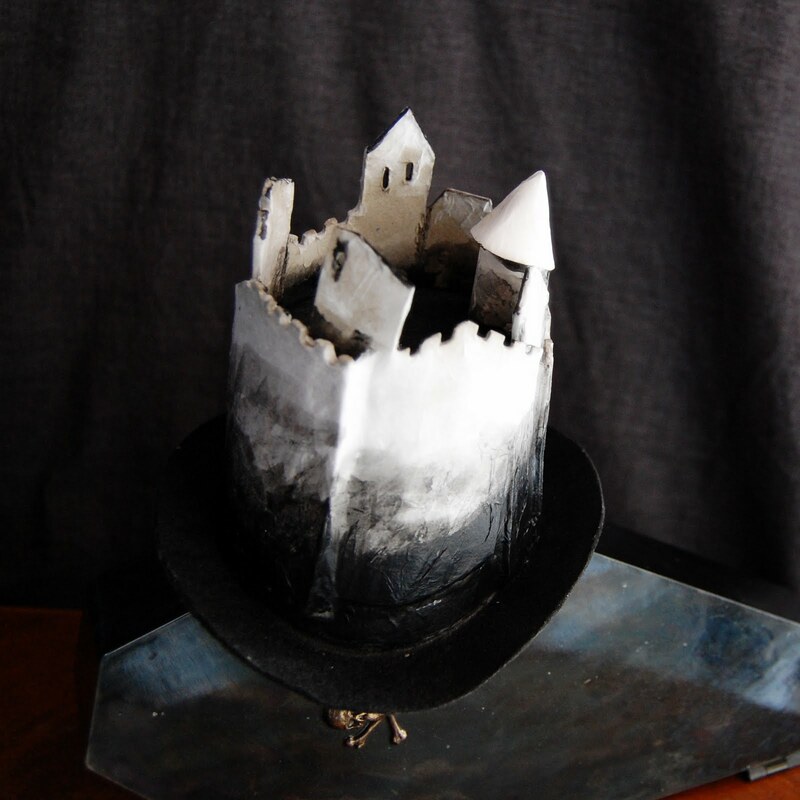 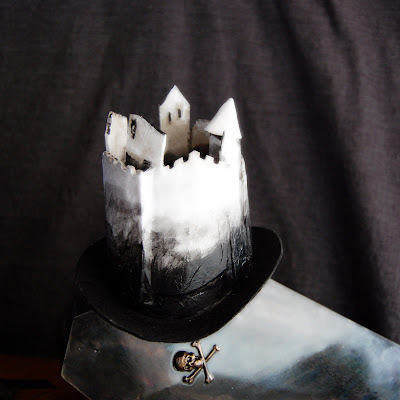 this hat features my interpretation of Dracula's castle.... all wearable and that. 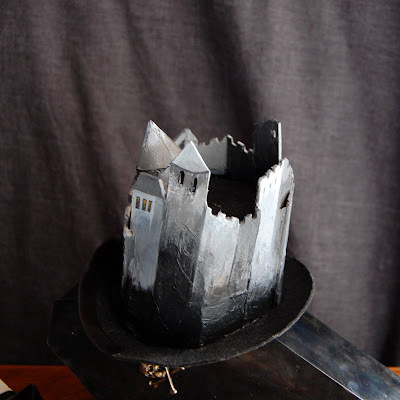 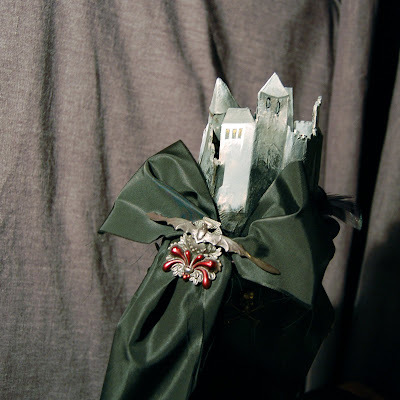 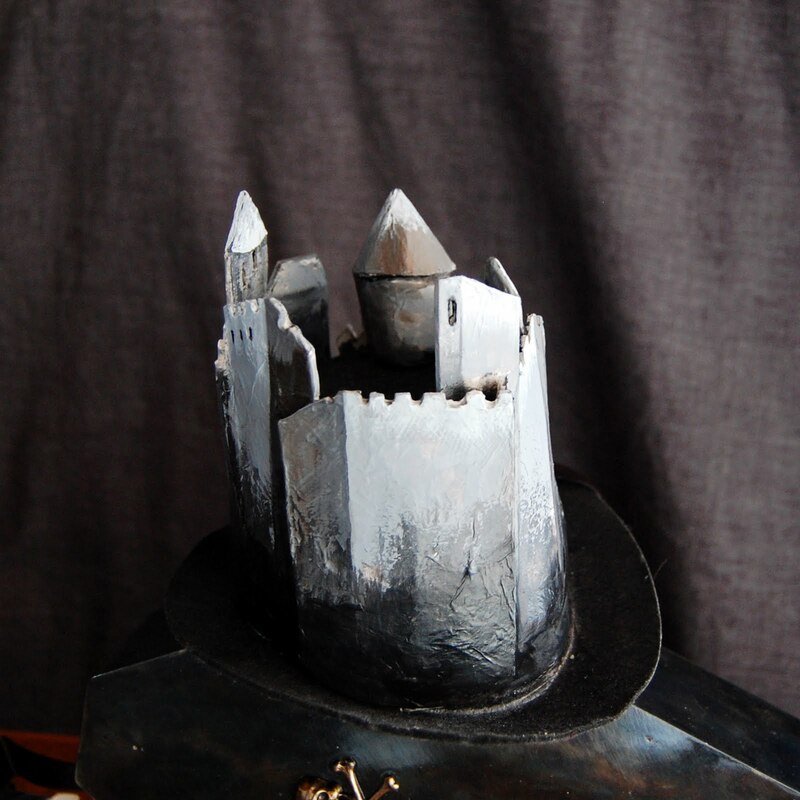 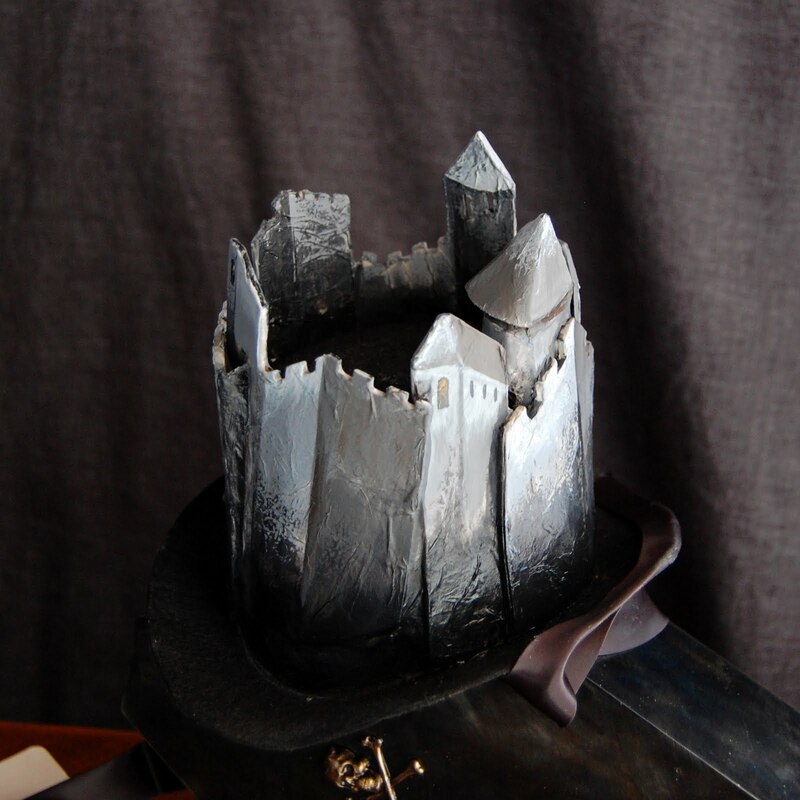 I cut the single parts of the castle from very strong cardbord and glued and sewed them to the hat. black paint at the base after I covered the pieces with paper scraps. 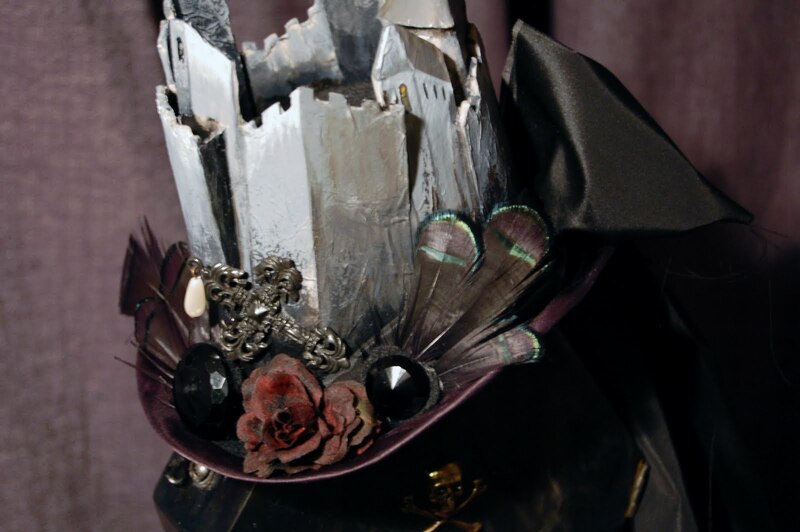 I simply adore this!! BRAVO!